WASHINGTON, DC, May 5, 2011 (ENS) – The U.S. Fish and Wildlife Service today issued a final rule to remove protections for gray wolves in the Northern Rockies under the Endangered Species Act. The rule is identical to the 2009 delisting rule that was struck down by a federal court in August 2010. Effective immediately, the rule will return management authority over wolves to the states of Idaho, Montana, Oregon, Washington and Utah, while retaining federal control in Wyoming until an adequate state management plan is developed. The rule is required by a rider added to the continuing budget resolution passed by Congress last month that funds the federal government for the remainder of this fiscal year. That rider was challenged in court today by the Center for Biological Diversity. The nonprofit group filed a challenge in federal court in Missoula, Montana, arguing that a congressional rider requiring removal of Endangered Species Act protections for wolves in the northern Rocky Mountains is unlawful because it violates the separation of powers in the U.S. Constitution. The group’s case is based on Article III of the U.S. Constitution, which establishes the principle of “separation of powers.” This principle dictates that the judicial power of the United States lies in the federal courts and not in Congress. Rodger Schlickeisen, president of the nonprofit Defenders of Wildlife, said, “While today’s announcement comes as no surprise, the action taken by Congress and the Obama administration last month to strip federal protections for wolves was unwarranted and extremely disappointing. It has undermined our nation’s commitment to good stewardship and sets a terrible precedent for side-stepping America’s bedrock environmental laws whenever it’s politically convenient to do so. 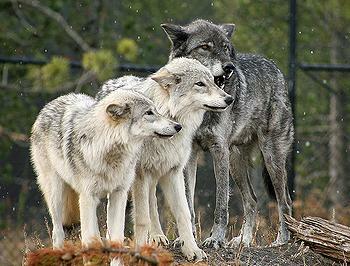 But Greenwald has little confidence that the states will leave many wolves alive. Wolf populations have only begun to recover in Oregon and Washington, where a very small number of packs have established, he said. In Utah, only individual wolves have been sighted. Wolf numbers are strong in Montana and Idaho, but both states would like to drastically reduce numbers in a misguided attempt to increase elk populations and reduce livestock conflicts. Idaho Governor Butch Otter signed a bill April 19 declaring the federal government’s introduction of wolves to Idaho a State disaster, despite last week’s congressional action to take wolves off the endangered species list and concerns about undermining his own statutory authority to declare such disasters. The legislation says the state’s estimated 800 wolves are compromising public safety, destroying herds of big game animals like elk and damaging hunting and agricultural industries. A state of disaster allows the governor to use his police powers to lessen the threat. 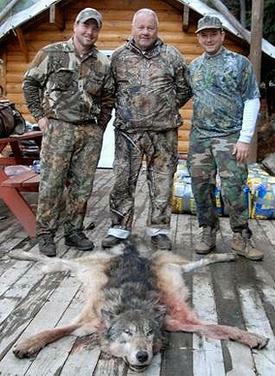 In Wyoming where federal endangered species protections remain, the state would like to declare wolves a predatory animal in large portions of the state where they could be shot on sight. In 1978, the Fish and Wildlife Service classified the gray wolf as an endangered species across all of the lower 48 states and Mexico, except in Minnesota where the gray wolf was classified as threatened. Today, the Service also published a proposed rule to remove gray wolves in the Western Great Lakes area from the list of endangered and threatened species because wolves have recovered in this area and no longer require the protection of the Endangered Species Act. The area includes Minnesota, Michigan and Wisconsin, and portions of adjoining states. 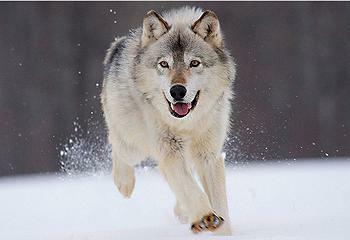 As part of this proposed rule, the Service would revise the range of the gray wolf, Canis lupus, by removing all or parts of 29 eastern states in accordance with newer taxonomic information indicating that the gray wolf did not historically occur in those states. The Service is also initiating status reviews of gray wolves in the Pacific Northwest and Southwest to determine the appropriate entity and listing status of that entity in those areas, as well as seeking information on a newly-recognized species, the eastern wolf, Canis lycaon, throughout its range in the United States and Canada. The Service is seeking public comment as part of this process. Comments must be received within 60 days, on or before July 5, 2011. Comments can be submitted at the Federal eRulemaking Portal: http://www.regulations.gov. Follow the instructions for submitting comments to Docket No. [FWS-R3-ES-2011-0029]. Public hearings for the proposed removal of wolves in the Western Great Lakes and proposed removal of eastern states from the gray wolf listing will be held May 18 in Ashland, Wisconsin, and on June 8 in Augusta, Maine. Click here for more information on the hearings.